Over the years of learning architectural visualization, I've collected a library of resources such as 3D Models, HDRIs, Materials and Textures, etc. 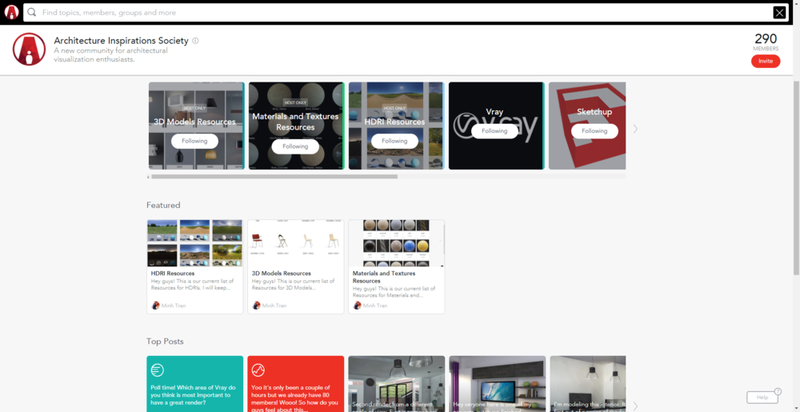 I've always kept these to myself, but recently I've created a platform, a community for others who have also love ArchViz, to share resources, experience, and learn from one another. It's called Architecture Inspirations Society. Here are a couple of resources that I share on the site.